“Warmest good wishes to all on the auspicious occasion of birthday of Buddhist emperor Priyadarshi Raja- Ashoka the Great. Period: 308 BC; Duration of his rule: 273-232 BC; the empire: From Hindkush mountainous region to Mysore in the south to the southern Godavari and from Bengal in the east to Afghanistan in the west. State religion: Buddhism; Expantion of religion: Sri Lanka, Afghanistan, West Asia, Egypt and Greece! 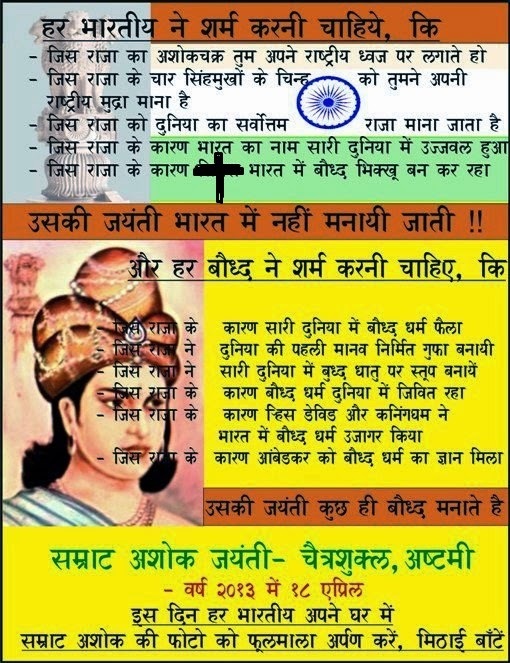 Ashoka was the greatest king of the world. Ashok evolved a social system based on liberty, equality, social justice. 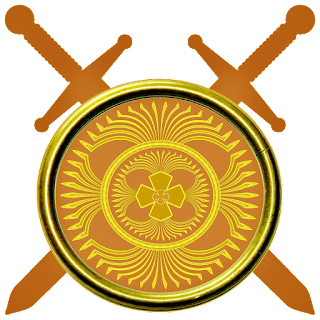 During his regime India was known as ‘the golden bird’. According to the renowned economist and Nobel laureate Amartya Sen, India's participation in the world economy was 35% during the regime of Emperor Ashoka and India was a global superpower." महान बौद्ध सम्राट, प्रियदर्शी राजा 'सम्राट अशोक' इनकी जयंती के शुभ अवसर पर सभी को हार्दिक शुभकामनाएँ! समय ईसा पूर्व 308; राजकाल: ईसा पूर्व (273-232); राज्यविस्तार- हिंदकुश श्रृंखला से लेकर दक्षिण में गोदावरी के दक्षिण तथा मैसूर तक, तथा पूर्व में बंगाल से पश्चिम में अफगानिस्तान तक. राजधर्म : बौद्ध धर्म; धर्मप्रसार: श्रीलंका, अफगान, पश्चिम एशिया, मिस्र तथा यूनान!